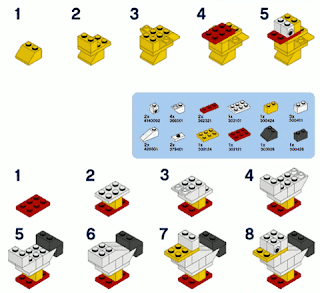 Most Lego sets have building instructions for two models, sometimes three. Using some tricks there is sometimes a way to get more. 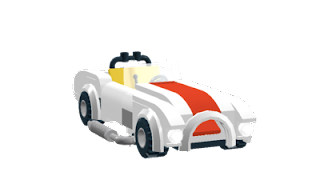 One can find more instructions on the Lego club page, for example the "Blue Lightning" that can be built from the four sets from 8192 to 8195. As Easter is approaching there is of course room for nice small animals. Bunny & co. can be downloaded from here. Lego recommends to get the bricks from Pick-a-brick. 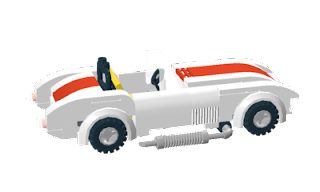 Update: one of our readers has recommended Technic set 1030 from 1983 from which a lot of simple functions can be built. 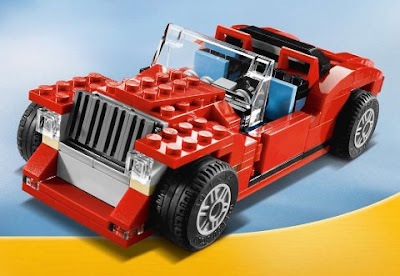 It has many typical parts that are easy to find in other sets. The instructions on Peeron are somewhat incomplete but he has provided a complete version that can be downloaded from here as a 6.5M PDF file (6.5M). Ok, I admit that going to the Ikea means I did not over-do the thinking part, but it fits its purpose. The large cars just fit inside, a glass door protects everything from the dust and it is easy to install extra glass shelves. I like it. Its name is Billy if anyone is interested. I keep on building my cars and I ran into this wonderful chart. 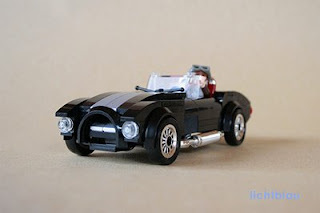 It has all the wheels and tires ever made by the Lego Company and also which tire fits which wheel. 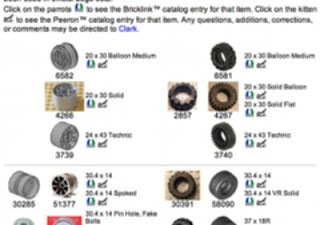 As an extra it has links to Bricklink and the Peeron parts catalog. 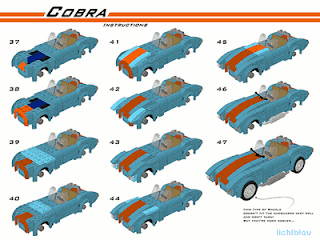 Sergio Reano has added new features to his SR 3D Builder CAD program (see our earlier coverage). Version 0.4.58 is able to model complicated linked hinges as the video shows.